MapBrowser is a software for visualization and query of cartographic data directly in the CAD environment, DWG compatible. It allows to access GIS data on Web by WMS, WFS, ArcIMS services.On these data it is possible to make queries, filters, zoom with the main aim to obtain, directly in the CAD graphic editor, georeferenced maps themed to suite your needs. CivilCAD, created by ARQCOM, is designed to automate and simplify civil engineering and land surveying tasks within ZWCAD+ 2012. With over 20, 000 users since its introduction in 1996, CivilCAD is the standard for government agencies, construction companies and universities in Latin America. With CivilCAD, you can quickly create profiles, cross sections, contour lines, land subdivision, cut and fill volume calculations, and over 100 additional useful routines. You can complement this software with additional modules such as Water and Wastewater networks, Road Design, Mass Haul Data Export, Pluvial Wastewater networks and the new import/export data Interface for Google Earth™. Survey and Cogo: Set points, traverse, sideshot, inverse, intersect, import & export points, import linework from point file, design lots by area. Label lines, curves and areas. DTM: Create a Triangulated Irregular Network. Use fault lines to control model. Create contours at user defined intervals. Calculate volumes. Unlimited number of surfaces. Create fully annotated profiles. Road: Cut profiles and cross sections from a digital terrain model. Create templates and proposed profiles. Calculate cross section volumes. Create fully annotated profiles and cross sections. RD12 est un logiciel modulaire de topographie, allant du carnet au calcul de routes, disposant de nombreux assistants et d'un guide utilisateur avancé pour la personnalisation et l'ajout de commandes personnelles. Il est possible d'ajouter des fonctionnalités en téléchargeant des bibliothèques gratuites. CAD Utilities in surveyor and civil engineering field. It contains 73 modules which are useful to land surveyor or civil engineering. System requirement ZWCAD2017 Pro, .Net Frameworks 4.5.2, Windows 7, 8, 8.1 and 10. This application enables the users to view and process point clouds created by LIDAR technology, scanners or photogrammetry software. It is possible to manage millions of points imported from files in common formats. Points can be viewed in natural color, intensity or category. The point cloud can also be viewed in stereoscopic mode with active or passive systems. 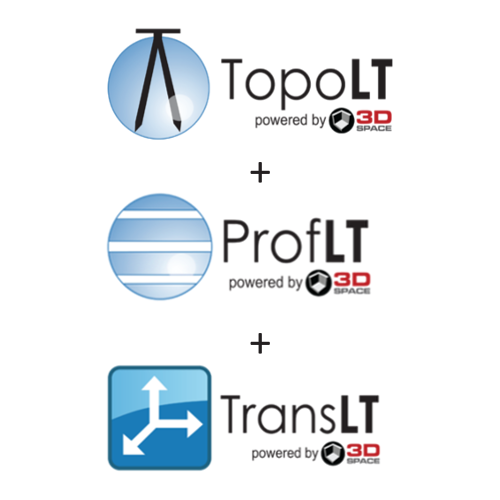 MDT Point Cloud generates profiles and cross sections from a polyline or alignment as well as digital terrain model, and they can be exported to CAD. This optional module requires MDT Standard version or Professional version. Full solution for Surveying and Civil Engineering projects Professional version is designed to assist users in all the phases of carrying out a project for roads, developments, quarries, mines, etc. It includes all features of Standard version and also provides tools for the design of horizontal and vertical alignments, draw the project cross-sections, generate final ground, cut and fill reports, setting out… Optional modules are Surveying, Point Cloud and Images. This software working in CAD environment process data gathered from total stations running TcpTunnel or other programs. TcpTunnel CAD computes the measured cross-sections from points and alignment, which can be filtered and edited, and lets you to compare with project template drawn as a polyline. It can draw cross-sections or 3-D tunnel mesh in individual mode or by sheets, with many customizable options. The software also computes under and overbreak areas and volumes, generating reports that can be sent to text, HTML, Word or Excel. TcpScancyr for Tunnels process tunnel data measured by a laser scanner. Программный комплекс GEOCAD представляет собой, открытый набор совместимых программных продуктов, предназначенных для решения задач инженерных изысканий, геоинженерного проектирования и ГИС инженерного назначения. Protopo es un programa de ingeniería civil, desarrollado por profesionales, ingenieros topógrafos y matemáticos, a través de la experiencia adquirida durante años de trabajo en campo, así como, recogiendo las opiniones y sugerencias que los usuarios nos han ido dando durante estos 25 años de vida de Protopo. Y, es por ello, que el programa sigue evolucionando, día a día, para conservar ese sitio que se ha ganado entre los profesionales de la topografía. EPLANT-STH is a computer aided design system to generate 3D parametric models of Structures, Cable Trays, HVAC and automatic MTO. Fully integrated in the ZWCAD environment the COPY, MOVE, DELETE and MIRROR commands can be used without any restriction. The material take off is automatic, as well as the weight and painting area calculation. Main use: to build structural components integrated with the EPLANT-Piping module. 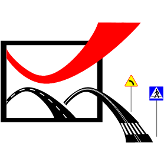 GA Przepustowość is software for junction performance analysis according to polish instructions. GA Sygnalizacja- traffic signal design software, enables engineers to produce traffic signal design drawings, measure and calculate traffic signal phase intergreens, prepare phase timing diagrams and prepare analysis of junction performance. GA Znaki includes a comprehensive library of traffic signs, allows you to map out road markings and design traffic management. The software is offering a whole range tools and generators allowing user to create road signs according to polish standards for vertical, horizontal signs and traffic safety devices. CivilCAD 2014 Solution Suite, the ultimate plan and design tools for civil engineering professionals, offers roads planning and design, upper and underground infrastructure design and pipes layout tools, intelligent and sensible earthworks calculations, and cross platforms surveying data handling capabilities. 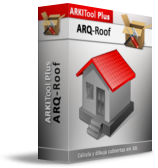 With ARQ-Roof you will create and design any type of roofing in 3D starting with only one single polyline (the roof contour). 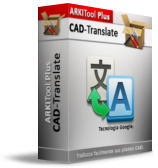 CAD Translate is a program which gives you the possibility of translating every text included in your CAD drawings into any language. E Survey Lisps ZWCAD/AutoCAD users have their own set of lisps for automation, which save a lot of time. But searching for a suitable lisp from this set of lisps is difficult. Also, most of these lisps are freely available on the Internet or custom made and hence are not properly documented. To address these issues, ‘E Survey Lisps’ has been developed. ‘E Survey Lisps’ is a collection of tailor-made lisp routines developed exclusively for AutoCAD users working on Survey drawings. Features: Access all Survey related macros from single elegantly defined menu Macros classified into 13 categories ranging from text to interpolation Benefits: Saves considerable time while working with Survey Drawings. Increase the output drawing quality and productivity to a great extent. LAND SURVEY CONCRETE STRUCTURES DESIGN DEVELOPING APPLICATION IN AUTOCAD FOR SURVEYOURS AND CIVIL ENG.